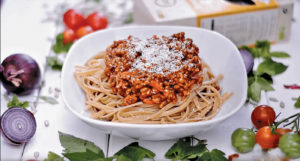 Here’s our quick and easy plant-based twist on the classic childhood favorite, Spaghetti Bolognese. 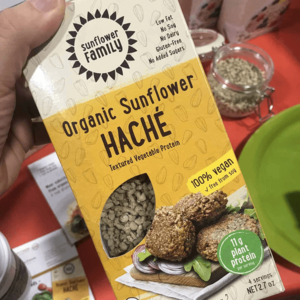 Our sunflower hache provides an incredibly familiar texture that meat eaters, flexitarians and vegans alike can enjoy! This recipe was submitted by our good friend, The Vegan Rhino. He is a plant based chef out of Fort Lauderdale, FL who specializes in using colorful, whole-food ingredients. 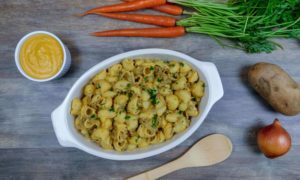 With detailed step-by-step instructions and ingredient lists, he creates a fun and rewarding environment to learn or broaden your skills in plant-based cooking. 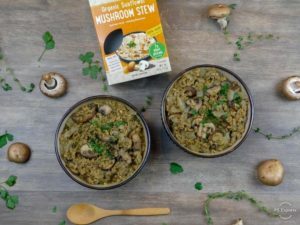 True innovation comes in this box to help you make a quick, nutrient-rich, plant-based meal. 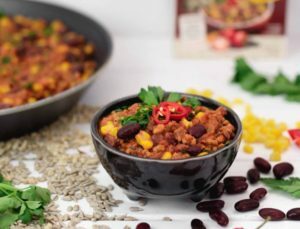 Made from organic sunflower seeds and spices (that’s it! ), it’s ready to use in any ground-meat dish, such as shepherd’s pie or chilli.